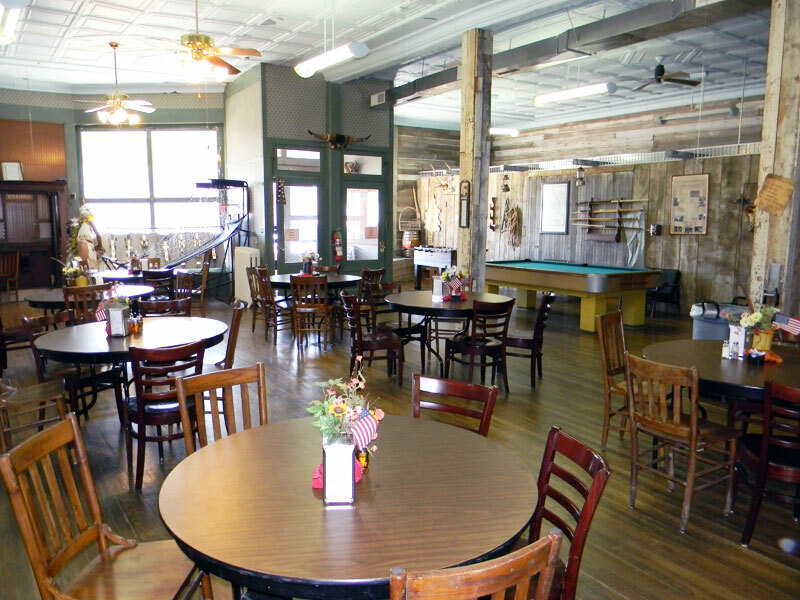 The Ranch House has a unique western flair that makes any small group feel at home and comfortable. This is a great place for informal gatherings, youth events, and other casual events. The decor of the Ranch House recalls the history of early Rexford, with fixtures from many original buildings. The Ranch House houses two dormitories, one with fifteen beds and another with twelve. 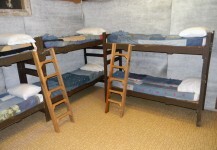 Each of the two dormitories has a bathroom with showers. A fully equipped kitchen is also provided. 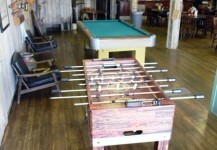 A common area contains a television, DVD/VCR players, a pool table, a Foosball table, and a gas fireplace. WiFi is available throughout the building. Enjoy your gathering with a relaxing meal in our common area. 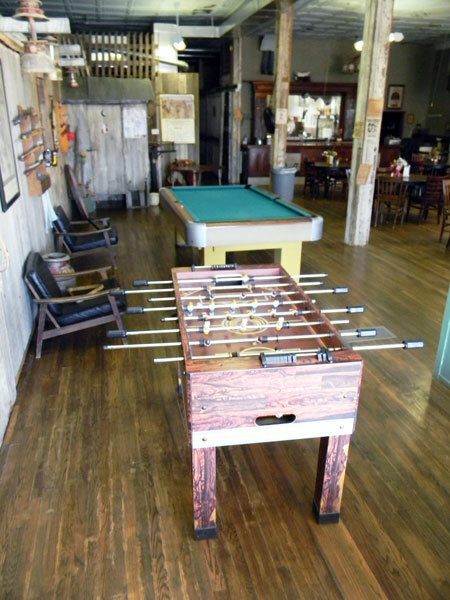 Our common area has plenty of games for guests. 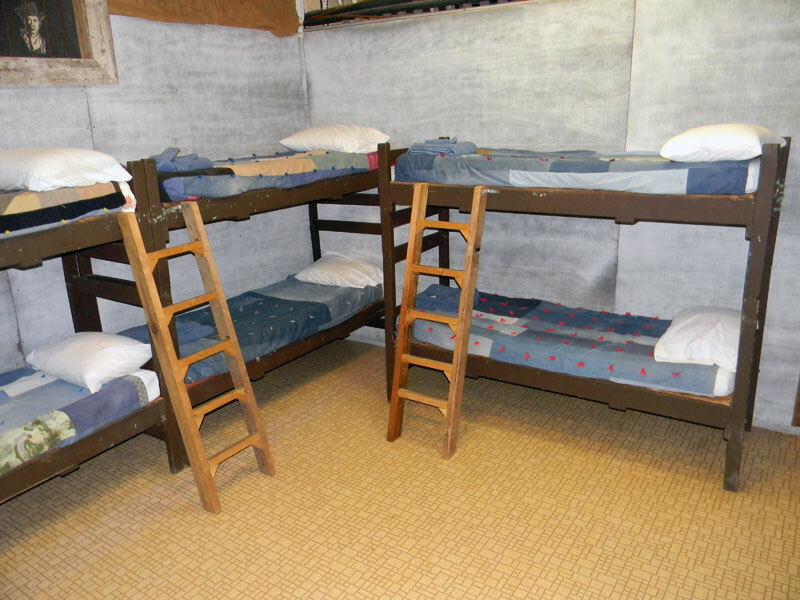 Extend your visit with us by bunking down in our comfortable dormitories.